Chile’s capital is quite a sight to behold. Sitting in a basin, surrounded by the snow-capped mountains, this cosmopolitan, energetic worldly city is home to 40% of Chile’s inhabitants. Chile has consistently demonstrated and maintained a solid economy, and thanks to its stable and relaxing atmosphere, it has been recognised by the National Brand Index and Global Peace Index for the security and quality of life on offer throughout the whole country. 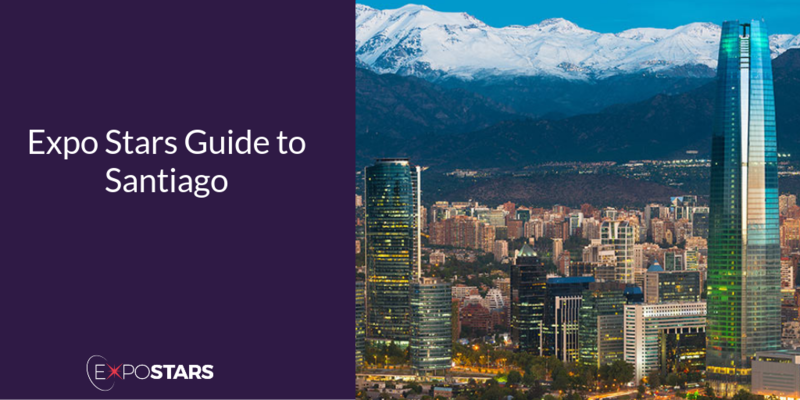 With an improving infrastructure, fine food scene and a growing reputation for hosting events, Santiago is fast proving itself as South America’s business hub. There is no simple public transport system to get you in to the city once you arrive at the airport. The easiest option is to take a taxi. Taxis from the airport are easy enough, just visit one of the taxi company booths as you exit customs in the airport. You will purchase a flat rate fare before you get into the taxi, this is to ensure you don’t pay over the odds and you ride with a legitimate driver. Edible products of animal origin, flowers, fruits and vegetables are only permitted with a certificate ("Fitosanitario") issued by the Department of Agriculture in the country of origin. La Casona at Matetic Vineyards - Matetic is famous for producing some of Chile’s best organic and biodynamic wines, and now you can stay on the vineyard. Luciano K - Once the tallest building in Santiago, this building is just moments away from one of Santiago’s top gastronomic neighbourhoods. There are a vast array of tourist attractions from the religious to the quirky and funky. La Moneda, also known “Coin Palace” because it used to be a mint, is where the president of Chile has his offices. Visit the Museo Chileno de Arte Precolombino, or Chilean Museum of Pre-Columbian Art. It has items dating as far back as 10,000 years. Take a walk up Cerro Santa Lucia, a hill in central Santiago, that is the remains of a 15-million-year-old volcano. Silabario - Try milcao (a pancake made of potatoes from the Chiloé archipelago) and charquicán (a potato, pumpkin and beef stew). Restaurante 040 - Most of the small plates on the 10-course tasting menu showcase endemic seafood, including picoroco (giant barnacles) and locos (large sea snails). Local currency is Chilean Peso. Nearly all Chileans speak and understand Spanish. You do not need a visa for a tourist or business stay of 90 days or less. Plug sockets are two or three pin. Chileans tend to be formal in dealing with people, it is advisable to address your host and colleagues formally and greet them with just a handshake. The offering of gifts, activities or expensive trips is seen in Chile as an attempt at bribery and is prohibited.